It has been awhile since BioWare’s Anthem was announced at the Electronic Entertainment Expo, but now it is time to step back from the gamer-holiday joy and examine what sort of massive shift this signals in the Canadian-based developer. BioWare is most recently well-known for its dialogue and choice-driven singleplayer roleplaying stories featured in the Mass Effect and Dragon Age universes. What has been shown in Anthem is a beautiful — possibly post-apocalyptic — world where the player is tasked with piloting mech-like suits called Javelins to defend a giant wall that people live in. Shown in the seven minute demo was a cinematic conversation, fluid, action-based combat and exploration, and accumulation of experience and gear. These are all staples of a BioWare story, but Anthem is an open, multiplayer world with a focus on action. It practically seems to be Destiny with mech suits. Is this actually a BioWare game? BioWare was originally a Canadian company, founded in 1995 by three medical doctors — Ray Muzyka, Greg Zeschuk and Augustine Yip — in Calgary, Alberta, where they had just graduated from the University of Alberta. Their first game, Shattered Steel, was a mech-fighting game, similar to the MechWarrior franchise. From there, BioWare set its sights on RPGs, particularly adaptations of their beloved pen and paper adventures in Dungeons & Dragons to the virtual screen. The first shot at this was Baldur’s Gate, which sold more than two million copies. The Infinity Engine the developer created for this game went on to be used by Black Isle Studios titles such as Icewind Dale and Planescape: Torment. Following that, BioWare pumped out games like Star Wars: Knights of the Old Republic and Neverwinter Nights, which were also based on a D&D-style system. The first major shift in BioWare was seen in the first Mass Effect game, which came out in 2007. This was a third-person shooter. It did, however, still contain several elements from previous games, such as a focus on conversion, affecting the storyline, experience, and loot. So, while this game was heavy on the action and signaled a large departure from D20 games, it still had BioWare’s signature storytelling quirks at its heart. 2007 also saw BioWare acquired by Electronic Arts, which was once rated as the worst company in America. And here is where things started to shift massively. Mass Effect 2 released in 2010 — it super-simplified the leveling system, gear no longer dropped from enemies, and the player only had a few choices of each weapon they could use as they stumbled across them throughout the game. It leaned heavily on the side of streamlined action and stripped away most of the customizable options in choosing gear and weapons that had been prominent in BioWare’s titles since the Baldur’s Gate days. In 2012, the remaining founders of BioWare left the company. 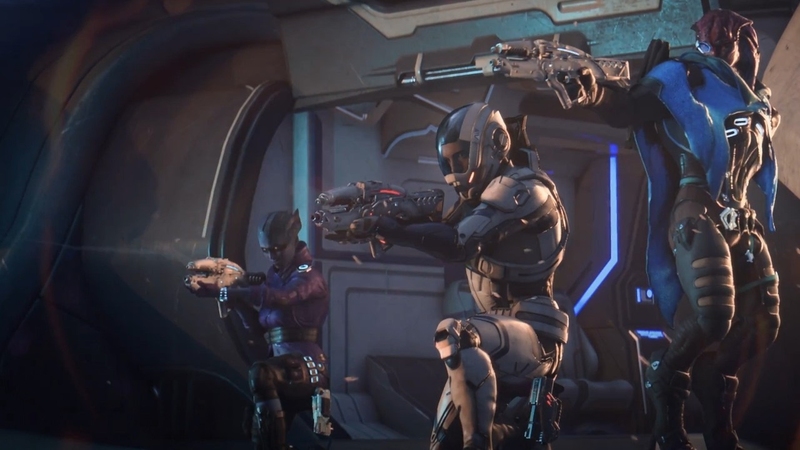 Mass Effect 3 reintroduced a multitude of weapons and a more complex leveling system, but a ridiculous amount of focus was put into a multiplayer component of the game. Much to the fan base’s dismay when the game launched, it appeared unfinished, and much of what players had worked for over the trilogy was lost on a bare-bones ending. Eventually these endings were expanded upon, but it was too little, too late. The multiplayer was quite a success, however, which may be why BioWare has continued to inject it into each of their games hence. Dragon Age Inquisition, the third in its series, also had a form of multiplayer forced into it, which was no where near as popular, as the game mechanics did not carry over. The multiplayer in Mass Effect Andromeda seems like a higher focus than the actual game, though the multiplayer itself has extreme problems, mainly with lag caused by non-dedicated servers. Despite these problems, the multiplayer is by far an improvement on its predecessor — it even ties into the singleplayer experience, giving the player a chance to score more random loot. In fact, I have spent almost as much time gallivanting through the game’s multiplayer as I have with its singleplayer campaign, which clearly means something must be enjoyable about it, because I spent about 80 hours exploring solo through the Heleus cluster. What this history of BioWare points at is that ever since EA took the helm of BioWare ownership, the company has been shifting towards the action-heavy, multiplayer-focused experiences that have been increasingly mainstream across the industry. 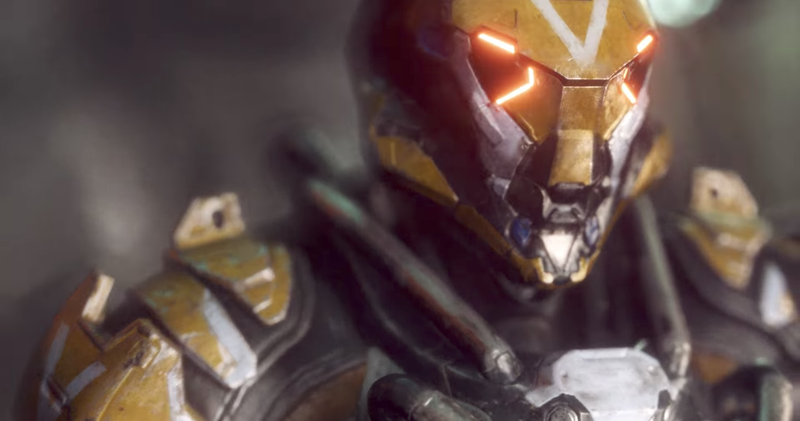 Anthem has sounded the trumpets, signaling that BioWare is a new beast. Now that the multiplayer and singleplayer experience are the same thing, the debate will not hinge around whether the company was forced to spend many resources on one over the other, but rather how seamlessly the roleplaying, storytelling genius that we have come to love in BioWare blends into an experience we can share with friends or strangers. BioWare has comes a long way from its isometric, dice-rolling roots. Let us hope that continues to roll natural 20s and steers clear from those dreaded, critical fails. Maybe this means we will get to explore the Andromeda galaxy together with some of our Milky Way friends.